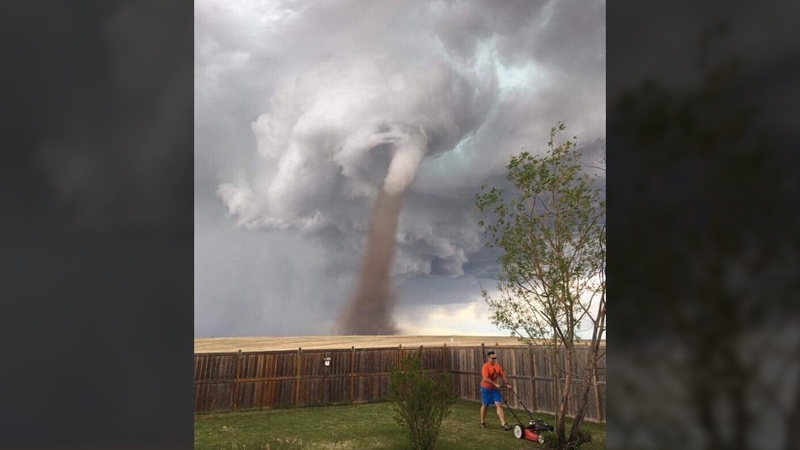 An Alberta man showed remarkable dedication to keeping a tidy lawn on Friday, continuing with his mowing as a large tornado swirled on the horizon. 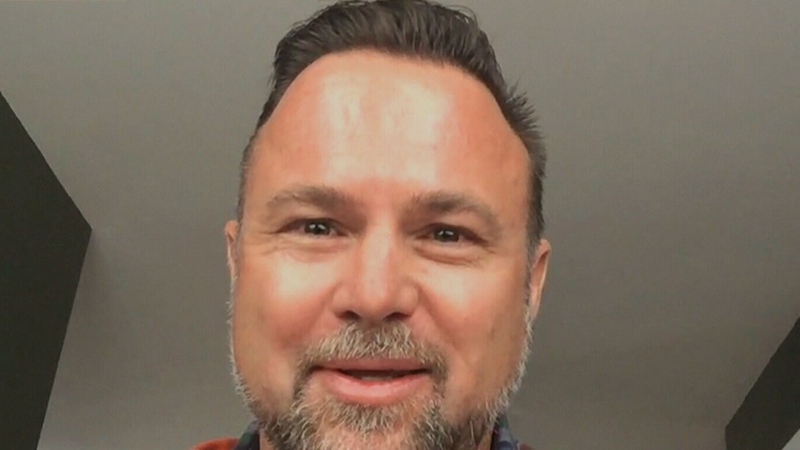 Theunis Wessels told CTV News Channel on Sunday that he needed to get his grass cut ahead of a busy weekend of chauffeuring his children to their sporting events. His wife Cecilia snapped the now widely-shared photo, which has created a storm of its own on social media. Environment Canada issued a warning for parts of parts of Kneehill County on Friday, due to “an eyewitness report” of a tornado near Three Hills, Alta. Some photos taken in the area showed what appeared to be damaged agricultural buildings. Cecilia wanted to show the tornado to her parents back home in South Africa, but most people were more interested in why her husband was still outside pushing a lawnmower. Theunis said his young daughter insisted he come inside when she spotted the twister approaching. She woke up her mother from a nap as Wells continued trimming the lawn. Do you try to mow your grass before it rains?